The First Presidency of The Church of Jesus Christ of Latter-day Saints has announced open house and dedication dates for the Port-au Prince Temple in Haiti. The free public open house will begin Saturday, April 20, 2019, and continue through Saturday, May 4, 2019, except for the Sundays of April 21 and 28. Dedicatory services will be held Sunday, May 19, 2019, and a youth devotional with Church leadership is planned for Saturday, May 18, 2019. It will be broadcast to all congregations of the Church in the Port-au Prince Temple District. Additional details regarding the temple dedication will be announced at a future date. This will be the second operating temple in the Caribbean. The other one currently operating is in Santo Domingo, Dominican Republic, serving to 27 countries of the area. 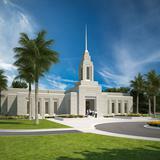 In the last General Conference, President Russell M. Nelson announced the construction of the San Juan, Puerto Rico Temple, which will add up three temples in the whole area. The Church currently has 201 temples either in operation, announced, under construction or being renovated around the world. 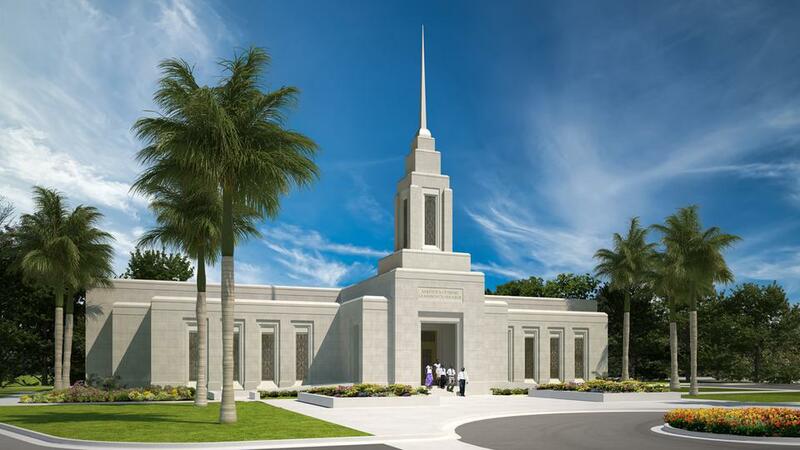 The Port-au Prince Temple will be the 164th operating temple.